Review: "Bad Habit: Timeless" - Sea of Tranquility - The Web Destination for Progressive Music! 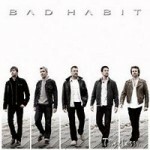 Timeless is a sixteen track collection of the best of Bad Habit's career to date which includes songs from each of their albums and two brand new tracks. Those two will also cause the biggest talking point for existing fans of the band, as they are a bit of a departure for Bad Habit and therefore from the classy AOR of the other fourteen songs. Forming back in 1986, Bad Habit debuted a year later with the six track mini-album Young And Innocent, which is represented here by the excellent closing song "Need Somebody". With numbers of this calibre it is no wonder that they were the first band to get an independently produced music video shown on Swedish national TV, as the wonderful guitar lines and riffs are backed to maximum effect by bright keyboards and layers of vocals which are sublime. For those unacquainted with Bad Habit, these elements are integral to all of the songs collected here with glorious melodies and instantly sing-a-long choruses ruling throughout. Whether it is pulsating the "Play The Game" or the ultra catchy "Rowena" the temptation to belt out the words even during your first listen is irresistible and more importantly the hooks are well enough thought out to stand up to repeated listens. Unlike a lot of instantly impressive music Bad Habit don't dim with familiarity, in fact hearing the keyboard chimes of "Hunger" or the slower paced, but remarkably uplifting "Lost Without You" is still as much of a pleasure as it was the first time round. Everywhere you turn through the Bad Habit back catalogue the class and deft touch is completely infectious, to the extent that when I was listening to these songs over the last few weeks, every member of the family was more than happily singing along! It would be possible to name check every song on this collection, however it would be easier to suggest that if you like AOR of the highest class that doesn't rely on clich�s for success then you're gonna love this. As for those new tracks, well for existing Bad Habit followers the harder crunch to the guitars and gruffer approach from vocalist Bax Fehling may be somewhat of a surprise and possibly an unwelcome one. That said the melody on both is still smooth and at the forefront of the songs, however if as has been suggested this is Bad Habit's future direction then it may take a little adjusting to. "Turning Water Into Wine" is definitely the better of the two as the chorus line still has that knack of burrowing deep into the subconscious and with a little dedication actually turns out to be a really good upbeat rocker. "Rock This Town" on the other hand offers less in the way of Bad Habit trademarks and while not a bad song doesn't fit well on this compilation. If you have already been seduced by the sparkling approach of Bad Habit, this collection is a timely reminder of just how good they were although the new additions may leave you scratching your head. If however you have never picked up this Bad Habit, then this is an excellent place to start and once bitten you won't want to give this up.